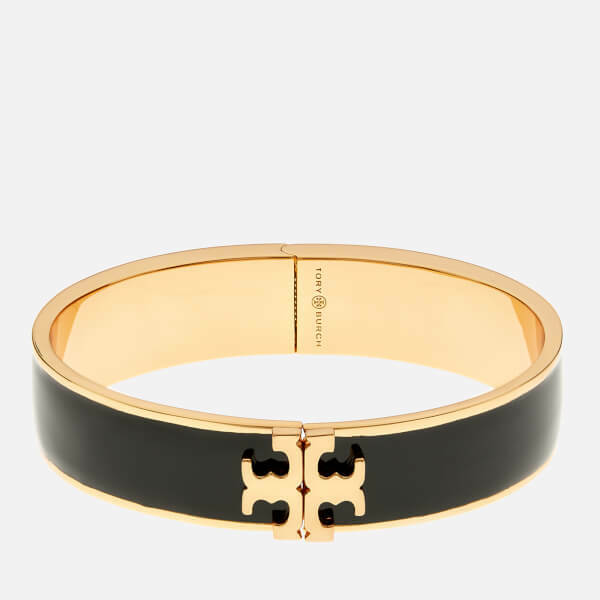 Women’s hinged bangle from influential American fashion and lifestyle brand, Tory Burch. 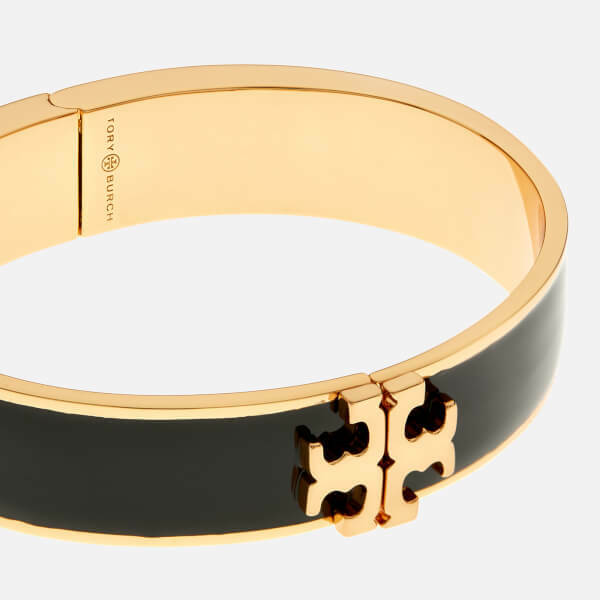 Cast from brass with a black, enamel-coated band, the signature style cuff bracelet is lacquered for a smooth finish and punctuated by a large, raised double ‘T’ logo in gold-tone. 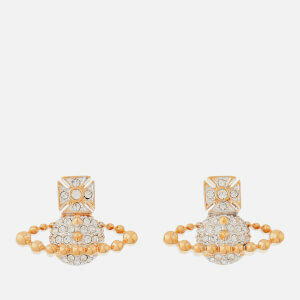 Finished with Tory Burch branding engraved to the inside.